This has been an incredible month for our coalition. We took a stand on affordable land access in the NY Times, we are working together to change new food safety rules that threaten our farms and Farm Hack is now its own organization! We’re gathering this weekend for Farm Hack Colorado and are gearing up to prep you for next season with job postings and events. From top to bottom, this newsletter will catch you up on a busy month plus upcoming events and job opportunities. So please, read it to the end! And Happy Food Day! Farm Hack, the farmer-driven platform for innovation-sharing, developed by programmers, hackers and our coalition received its own 501(c)3 status last month and is surging ahead with new programming and development! Farm Hack has been an integral part of NYFC’s work to address the needs of beginning farmers and we’re thrilled to continue to be a close partner to the organization moving forward. Right now, they need your help to raise funds to improve and expand the platform and resources at farmhack.net (including more online videos, a collaborative platform for design and a 3D library for mechanical tools) and to bring more Farm Hack events to you. 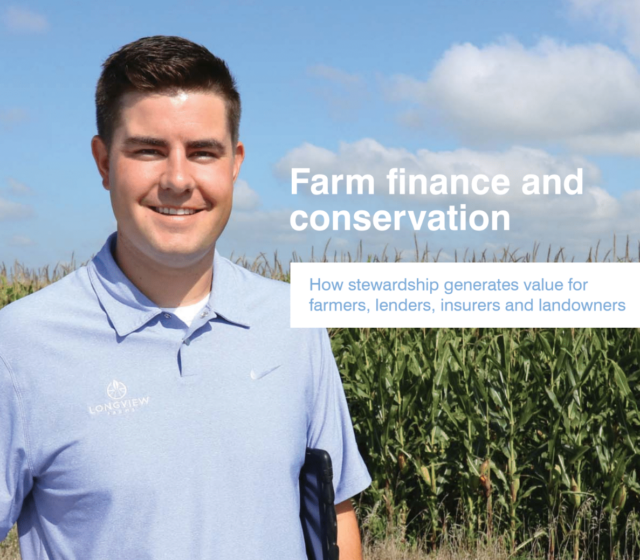 Farmer innovation benefits everyone, so check out their campaign, give generously and share it widely! Co-hosted by NYFC and the Valley Organic Growers Association, the event will include a farm tour of Zephyros Farm followed by an afternoon Hack at the Creamery Arts Center. Dialogue will cover: how to meeting diverse agricultural water supply and management challenges through innovation and collaboration; the development of community priorities; and an in-depth framework for understanding resilience itself. Together we will build the foundation of a resilience toolkit for small-scale irrigated agriculture in the arid west. Local foods potluck to follow! Farmers at a letter-writing event in Portland, OR. Photo courtesy of Sofie SherBurt. On Sunday, thousands of farmers took action on NYFC’s National Day of Action to Save Local Farms. Meeting in barns, classrooms and living rooms, farmers came together to discuss the FDA’s proposed food safety regulations and to submit comments calling for positive change. This is our chance to shape food safety rules that will affect how we run our farms for years to come! Haven’t submitted a comment yet? There are still events happening around the country – check out NYFC’s action map to find one near you. Prefer to comment directly? Click here to learn more and send a comment in right now. Earlier this month, the New York Times published our Op-Ed, “Keep Farmland for Farmers” on the difficulty of finding affordable land to start a farm and what can be done to help. Innovative land trusts like the Vermont Land Trust and the State of Massachusetts are going one step further in their conservation easements to ensure that farmland is not only protected from development, but remains in the hands of farmers. Our report, Farmland Conservation 2.0, explains how land trusts can help secure farmland for the next generation through innovative conservation tools. Click here to read the report! Workers at EarthDance Farms in St. Louis, MO. Seeking a farmer for Lokelani ‘Ohana, a Maui based initiative in the Camphill movement. Come work on a beautiful biodynamic CSA farm in Hawaii! Sign up for a slot for 2014 at the Seed Farm New Farmer Training Program and Agricultural Incubator, a vegetable training program on a 45-acre farm in Emmaus, PA.
Seeking a farm manager at EarthDance Farms, an organic farm school in St. Louis, MO (pictured above). Plus many more! Head over to the NYFC jobs forum to start your search. The purpose of the forum is to brainstorm strategies to address farmland access and affordability in Connecticut and to engage an expanded coalition of key individuals, businesses, organizations and agencies in developing a common agenda around these issues. For more information contact Susan Mitchell, New Connecticut Farmers Alliance, at smitchell123@yahoo.com. Meet up with other young and beginning farmers at Everblossom Farm to strengthen the community of young farmers in PA by forming a new chapter of the NYFC. In between sets of a farmer-led jam/bluegrass band, we will discuss the proposed draft Food Safety rules as part of the National Day of Action to Save Local Farms. Click here for more info. Join other young and beginning farmers at Little Farm from 4-10 pm. 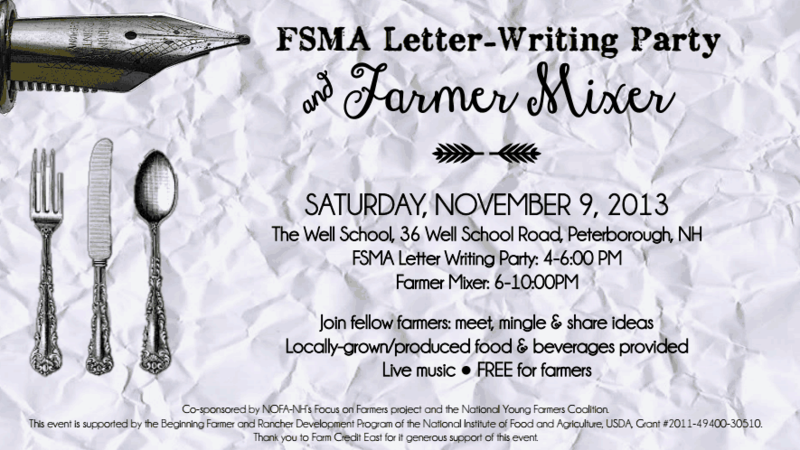 The Southeastern Young and Beginning Farmers Alliance will have food safety background info and pens and paper for submitting comments. Contact Lauren at coxlaur@gmail.com for more info. Join other Vermont farmers to discuss the food safety regulations and to write comments to the FDA. Event starts at 5 pm. Contact Brittany at bdooling@uvm.edu for more info. Get together with other young farmers in Sonoma County for this inaugural guild meeting and to discuss food safety rules! Contact Evan at emwiig@yahoo.com for more info. Join other young and beginning farmers for ASAN’s potluck! Click here for more info. Dakota Rural Action’s 26th Annual Meeting & Celebration, this year celebrating the beginning farmer and rancher. Event includes lively music, inspiring speaker and film, good homemade food, treasures from our silent auction, and an invigorating workshop. There will also be food safety discussions and letter-writing! Click here for more info. Join other Hudson Valley farmers to discuss the food safety rules and write comments to the FDA! We will have good food and good beer (thanks to generous support from Farm Credit East!) and a warm kitchen and/or warm dairy barn in which to gather and share news from the summer, hopes and organizing possibilities for the upcoming winter. Contact Jordan at jalschmidt@gmail.com for more info. Join other Iowa farmers to discuss the food safety regulations and to write comments to the FDA. Contact Grant at organicgrant@gmail.com for more info. Join fellow farmers to meet, mingle & share ideas. Includes Locally-grown food & beverages and live music! Contact Ray at bof@nofanh.org for more info. Grab your ticket and join farmers and farmer friends alike for a dinner and homebrew beer feast. Other events include Farmer Olympics and a panel discussion involving inspiring people in the Texas farming and food community. Contact info@texasyoungfarmers.org for more info on tickets. « previous article: What's food day without the farmers?